Virginia Family Chiropractic has proudly served as the go-to chiropractor in Alexandria, Woodbridge, Manassas, and Falls Church, Virginia. Today, the clinic continues to offer the same sterling standard of customer service, chiropractic expertise, and commitment to health and wellness to all of its patients, no matter their age. 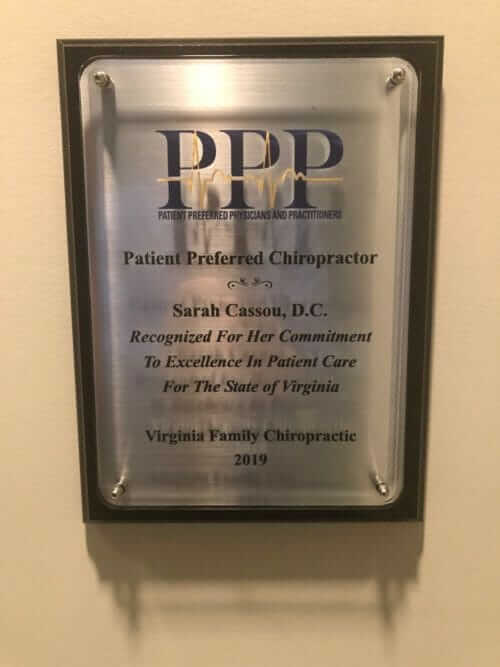 Virginia Family Chiropractic specializes in delivering precise health adjustments through a variety of treatment plans with one goal in mind: the rapid and lasting eradication of pain and stress from your environment. Are you suffering from debilitating pain? Let the wonderful doctors of Virginia Family Chiropractic help you heal by finding and removing the nerve interference that is the source of your pain. The best part is that at Virginia Family Chiropractic, we do all of this in a fun, comfortable, and welcoming environment! Our main goal is to check patients for hidden health problems and save them from a life of pain, surgery and drugs. At Virginia Family Chiropractic, we understand what it’s like to have been suffering from pain for way too long, and our professional staff recognizes how physically and mentally exhausting it can be. What if one visit could send you on the way to a healthier and better life? Wouldn’t it be worth a try? Our professional and experienced staff can help you begin the process to achieve your best health by providing preventative and wellness based approaches to health care. When things like stress, injuries, and the challenges you face on a daily bases overwhelm you, in return, your brain and body do not respond correctly to each other. Chiropractic care helps your brain and your body communicate more efficiently, and will help send you on the way to a full recovery! Please call us today so we can help change your life and improve your overall health! Chiropractic care is a form of holistic medicine, meaning at Virginia Family Chiropractic, we practice chiropractic care by refraining from using drugs as a viable treatment option. Are you tired of prescription drugs and their side effects? Dr. Cameron Hatam understands that these medications only just mask symptoms instead of healing your body entirely. We believe your body is a wonderful, self-healing mechanism and Dr. Cameron Hatam can provide gentle chiropractic adjustments that will leave you feeling way less pain, more relaxed and much more comfortable than you were before you walked in the door. 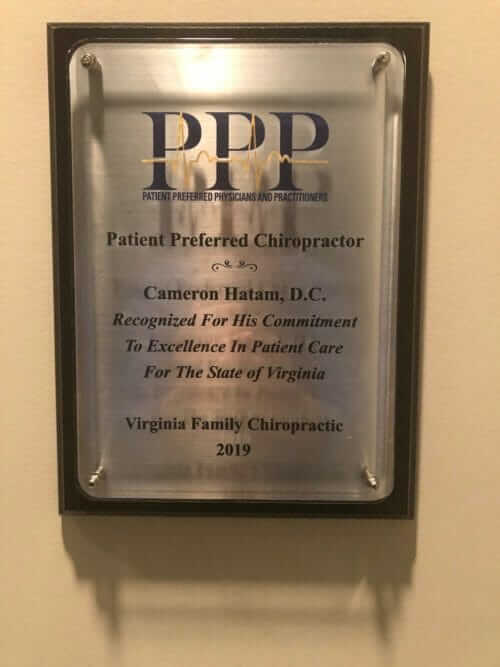 Dr. Cameron Hatam’s specialized treatments are completely individualized for each person because we understand that every body functions differently, because everyone is at a different phase in their life. The staff and doctor at Virginia Family Chiropractic understand that you’ve experienced larger challenges than the ones you are facing now. Right now, you just need Dr. Cameron Hatam’s help in harnessing your internal healing power through your brain and body. Once you have directed that energy, you will be so astounded at your own body’s ability and, in turn, the life changing transformation your body can make. You are not weak. You are strong!